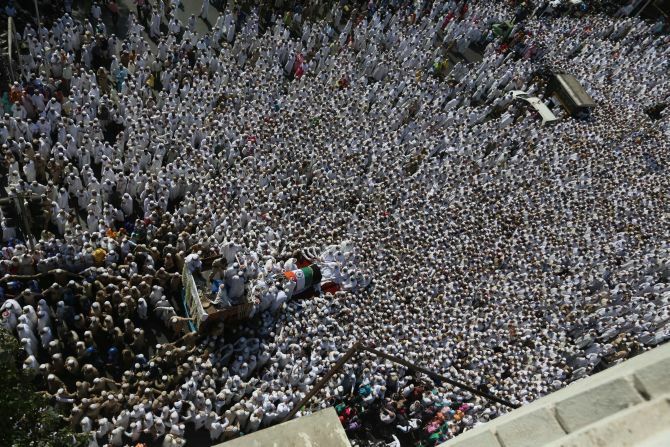 Eighteen people were killed and over 40 injured in a stampede as thousands of mourners converged to pay their last respects to the spiritual leader of the Dawoodi Bohra community Syedna Burhanuddin in upscale Malabar Hill in South Mumbai in the wee hours on Saturday, in worst such tragedy in the metropolis. Those killed included two minors and five senior citizens. Most of them died due to suffocation, police said. 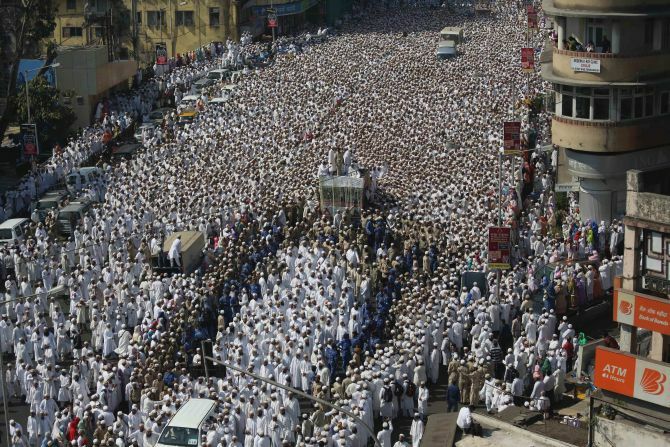 The incident occurred as a huge crowd gathered to have a last glimpse of Syedna, who had died on Friday aged 102 after a cardiac arrest, at his house which is in the vicinity of the official residence of the Maharashtra chief minister. Lakhs of his followers joined the final journey of the spiritual leader, who was laid to rest at Raudat Tahera mausoleum at Bhendi Bazar. 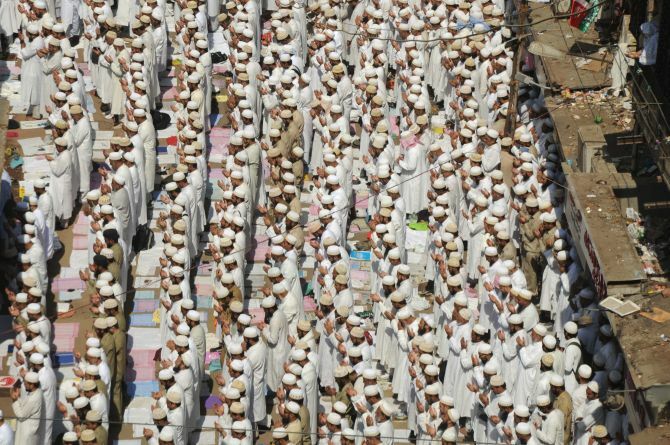 His son and successor Syedna Mufaddal Saifuddin led the Namaz-e-Janaza, the prayer for the departed soul. The body was placed in a flower-adorned casket draped with the national flag atop a open vehicle, escorted by policemen, immediate family and community heads. People from all walks of life joined hands to form a human chain across the road and bid a tearful adieu to the departed leader. President Pranab Mukherjee, Prime Minister Manmohan Singh and leaders of various political parties condoled his death. 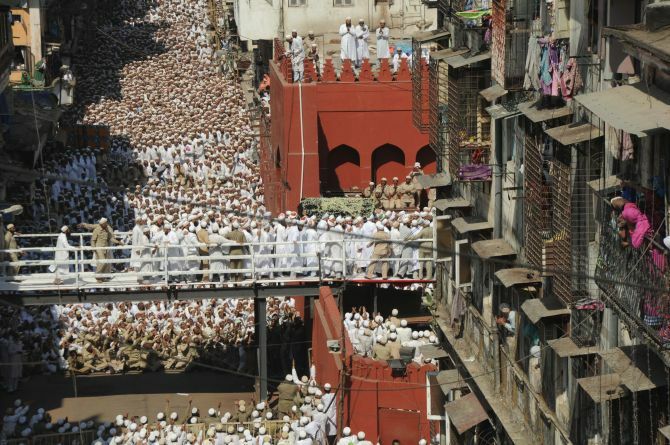 Mumbai Police Commissioner Satyapal Singh said most of the deaths occurred due to suffocation as a massive crowd of mourners got stuck in the narrow lanes and the gates to Syedna's residence 'Saifee Mahal' were closed. 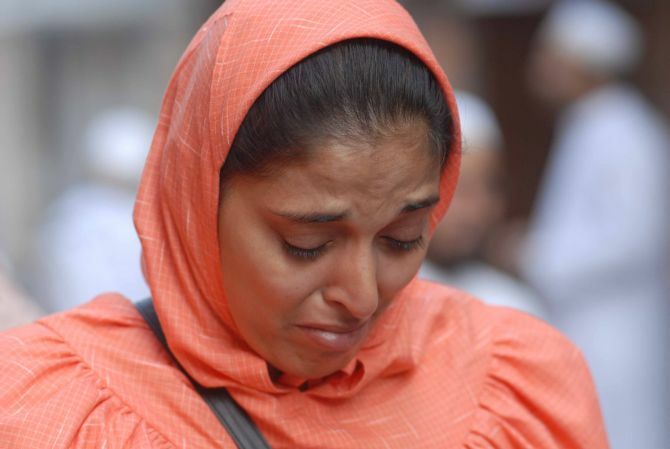 "People from all parts of Mumbai and around the city came to pay their last respects around 9 last night. The roads were narrow...It led to suffocation. It was difficult for the people to breathe," he said. "Some fell unconscious. Gates were closed because of which some people fell on each other. As the doctors are claiming, cause of the death was suffocation," he said. The injured were admitted to the Saifee Hospital where, barring three, the rest were discharged, civic sources said. Doctors at J J hospital where autopsy was conducted have also said most died from suffocation. 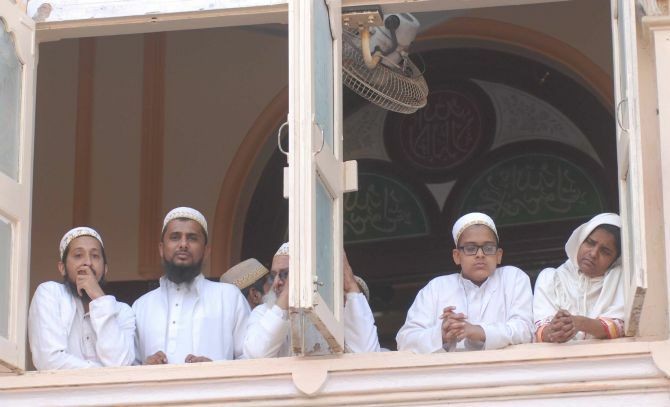 Explaining the circumstances that led to the incident, an IPS officer said, "Bohra community leaders yesterday informed us that no crowd would be allowed to gather at Syedna's residence. "They said community members will pay their last respects during the funeral procession today and accordingly security arrangements were made." "However, at about 9 pm yesterday, the leaders, without consulting us, began sending text messages informing the followers that they would be allowed to have a glimpse of Syedna at his residence. After this, people from the city and outskirts started pouring in," he said. "We were informed about this change in plan after the messages had already been sent. We were told that about 4,000-5,000 people would turn up at his residence and security measures were made accordingly. But the figure swelled to over 60,000 in no time," the officer said. As the gates of Saifee Mahal were opened and then shut abruptly, the mourners tried to force their way into the house, causing commotion and then a massive rush, he said. "Before police could make further arrangements to manage the unexpected crowd, the tragedy had occurred," he said. 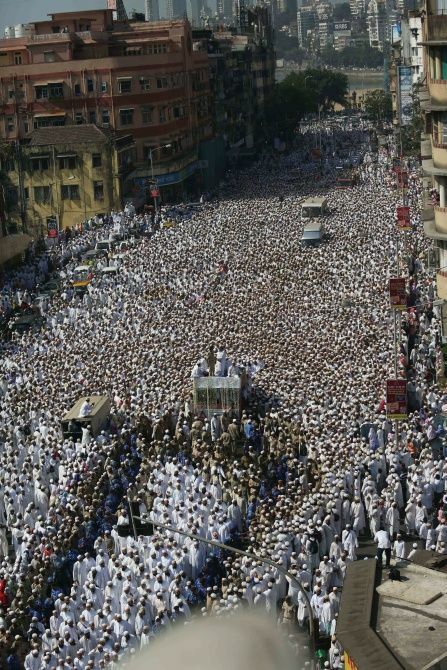 Later in the day, tens of thousands of people joined Syedna's funeral procession, bringing traffic to a standstill in parts of south Mumbai. Syedna was credited with transforming Dawoodi Bohras into a vibrant community and honoured with highest civilian titles like the Star of Jordan and Order of the Nile by the respective governments of Jordan and Egypt. He was also conferred Honorary Doctorates for his efforts in social and educational development by renowned institutes like Al-Azhar University, Cairo, Aligarh Muslim University and University of Karachi.